WASHINGTON — FBI Director Robert S. Mueller III said Wednesday that he hoped to get Congressional funding to add 276 new agent slots to fight crime, terrorism and battle al Qaeda. 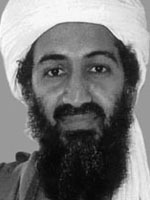 “Usama bin Laden said that obtaining WMDs (weapons of mass destruction) is a ‘religious duty’ and is reported to have sought to perpetrate a ‘Hiroshima’ on United States soil,” Mueller said in a prepared text on the FBI’s $8.3 billion proposed 2011 budget before a House Appropriations Committee. Along with the new agents, the director is asking for an additional 187 intelligence analysts and 349 professional staff positions. “These additional resources will allow the FBI to improve its capacities to address threats in priority areas of terrorism, computer intrusion, weapons of mass destruction, foreign counterintelligence, white collar crime, violent crime and gangs, child exploitation and organized crime,” he said. Mueller said he also hopes to build a new dormitory at the FBI Academy in Quantico, Va., and upgrade existing facilities there. Posted: 3/17/10 at 6:18 PM under News Story.